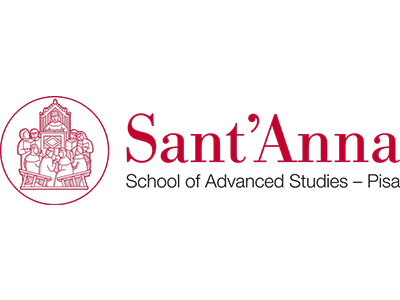 The BioRobotics Institute at Scuola Superiore Sant’Anna is an integrated system focused institution aimed at innovative research, education and technological transfer. The Institute wants to act as a bridge to international centres of knowledge in order to create a new concept of engineers and new companies in high technology sectors (biomedical engineering, microengineering, robotics, mechatronics). At present, the Biorobotics Institute includes over 150 people, of which more than 90 are PhD students and the Director is Paolo Dario. It was founded on January 1st, 2011, by merging ARTS, CRIM Labs and the EZ Research Centre. The former ARTS Lab, over the course of its 20 year history, has built and consolidated a vast wealth of knowledge and expertise in the fields of Service Robotics, Humanoid Robotics, Neurorobotics, Bionics, Neural Interfaces, Assistive Robotics, Robotics for Neurorehabilitation, Gerontechnologies and Biomimetic Robotics. The BioRobotics Institute is located at the “Polo Sant’Anna Valdera” in Pontedera, a research park specifically created to optimally house the research activities of Scuola Superiore Sant’Anna and to encourage technology transfer. Polo Sant’Anna Valdera also houses an office of the Italian Institute of Technology (MicroBioRobotics Center) and some joint research projects with leading universities in Japan and Korea. The BioRobotics Institute also has some laboratories and research centres in the local area, including Service Robotics and Green Robotics – Ambient Assisted Living (AAL) Laboratory located in Peccioli, the joint lab at Auxilium Vitae, the rehabilitation centre with the highest number of patients treated with the MIT-Manus robot in Europe, the centre of excellence on computer assisted surgery and the new Research Centre on Sea Technologies and Marine Robotics.